Cone bushings are the most responsive shape in the Blood Orange lineup. 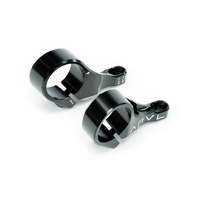 This bushing shape is designed for riders looking for fast, agile turning and quick pumping. The trimmed design of the cone offers less resistance against the truck while turning, which gives the rider access to the full turning capabilities of the truck they are riding.